Maintain a 360 Understanding of the project at hand. Consider which lifecycle model is appropriate for the methodology at hand. You also should consider any unique deliverables that will come from the project. Transparency must be maintained at all times in this type of collaborative setting. Use time differences to your advantage. Offshoring presents the opportunity for work to continue to be completed beyond ‘work hours’. If tasks and deliverables are effectively laid out ahead of time, there should be no reason why work should not be able to continue. Time differences can also be used to make sure tasks are properly delegated ahead of time. Be aware of communication barriers. Even with both parties able to converse fluently, things may get lost in translation, just as with internal projects. It is more important to plan accordingly and have a means to document all crucial details for future reference. Be aware of scope creep. By maintaining a 360 understanding of the project, challenges like this can be well managed. Even if you are new to a particular industry, by fully understanding the project, you are far less likely to underestimate the complexity of it. It is also important not to simply exceed the scope with the false belief that you are adding value. This can especially complicate things when working with an offshore team. Manage risks proactively. Thanks to constant technological advances, physical distance is no longer a principal problem for offshore teams. Risks now come down to how effectively the process is managed. While it is impossible to prevent all risks, building a team that is able to promptly handle any unforeseen threats will aid in cutting down the severity of such problems. It is vital to identify risk early and openly communicate about any possible risks with your team, both internal and offshore. Acknowledge progression. While many of the tasks at hand may seem trivial to the overall picture, it is important to take time to thank everyone for their involvement. Offshoring is often viewed negatively because individuals believe these outside parties are there to "take their job”. This is also a common assumption that people believe with procurement. In reality both procurement and offshore teams are utilized so that corporations can continue to free up internal resources to use in higher priority areas. 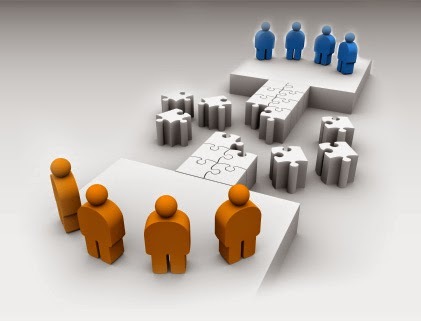 Offshoring can present an opportunity for team members to continue to focus on their core competences.